Bounce Hoppers is owned by Scott and Jessica Cunningham. We have 5 boys and a Girl ranging from a infant, elementary age, highschool, to adults. We also have 1 Granddaughter. Scott served 26 years in the military and have two son that also serverd in the U.S. Army. Jessica is a public school teacher. 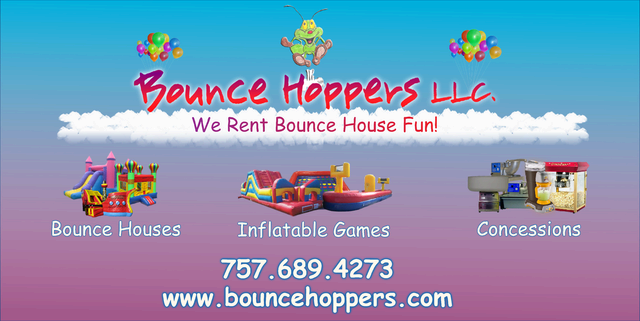 Being a family owned and operated business, Bounce Hoppers makes each client’s party our own. We understand the importance of such an event, and the stress that can come with planning the perfect memory for your child. From start to finish Bounce Hoppers will help you tie up all the loose ends so your party goes off without a problem and you can actually sit back to enjoy it. The kids will remember the fun they had and their parents will thank you for letting them burn some energy! Call Bounce Hoppers today and plan that perfect party. We can’t wait to hear from you!